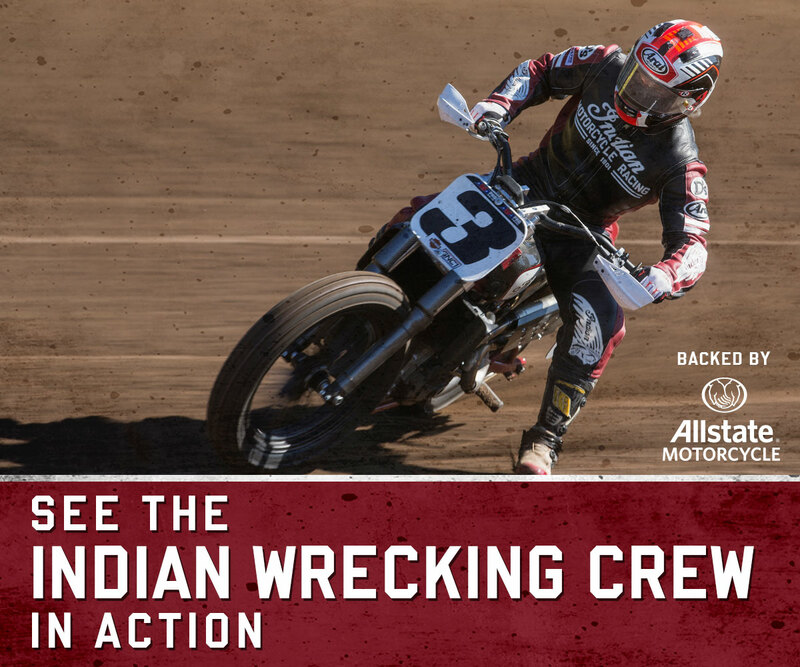 The Indian Wrecking Crew will hit the track at Daytona Bike Week 2017 on Thursday, March 16 during the Daytona TT at the Daytona International Speedway. Racing begins at 6pm ET. Stop in to your dealer on March 18 to celebrate this historic return to the track, and you'll get a free Indian Motorcycle Racing hat while supplies last.